GAME DRIVE: Race your fellow conservationists from Camp to each of the wildlife reserves. 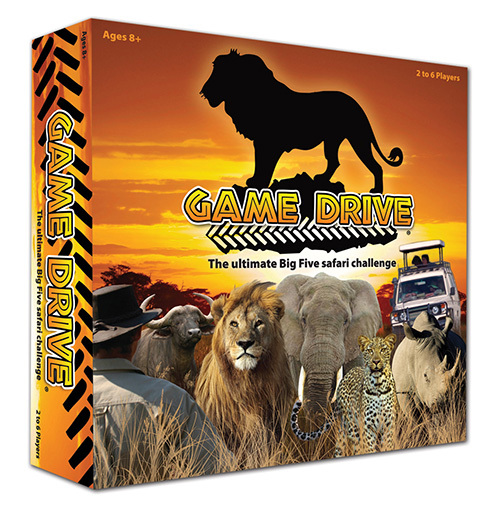 In those reserves, complete Game Drives with Animal Photo and Tracker cards, and use Rangers to protect the Big Five. Along the way, look out for flash floods and elephant charges, and be warned – there are Poachers out there! It’s just like being there – but without the mosquitos! 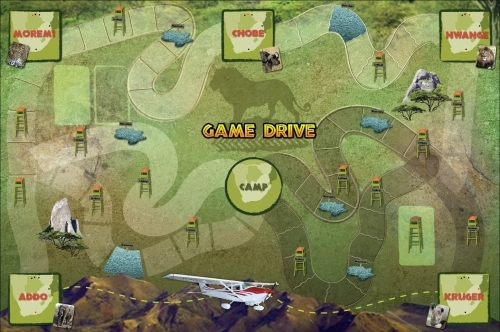 Game Drive creators Mark Jennings and Andrea Crompton first thought of the idea for a conservation game while sitting in the back of a safari truck in the Makalali Reserve, South Africa, in 2008, where they were working as volunteers. 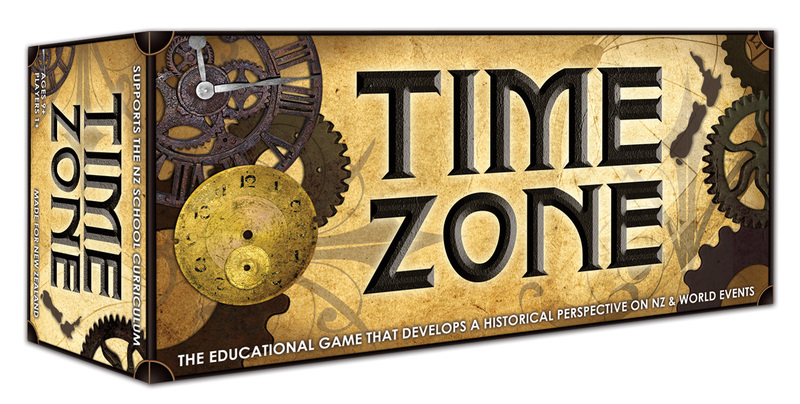 They came to us with partially designed game in 2011 that needed some TLC and rules-polish to bring it to life. One of the first jobs was to create a logo that would work as a title for the game but also as a company logo for Mark and Andrea. Here are some early variations on the logo. The jeep track was important to the logo to give it a safari flavour, and the lion is so iconic it was the obvious choice over the other big five animals. 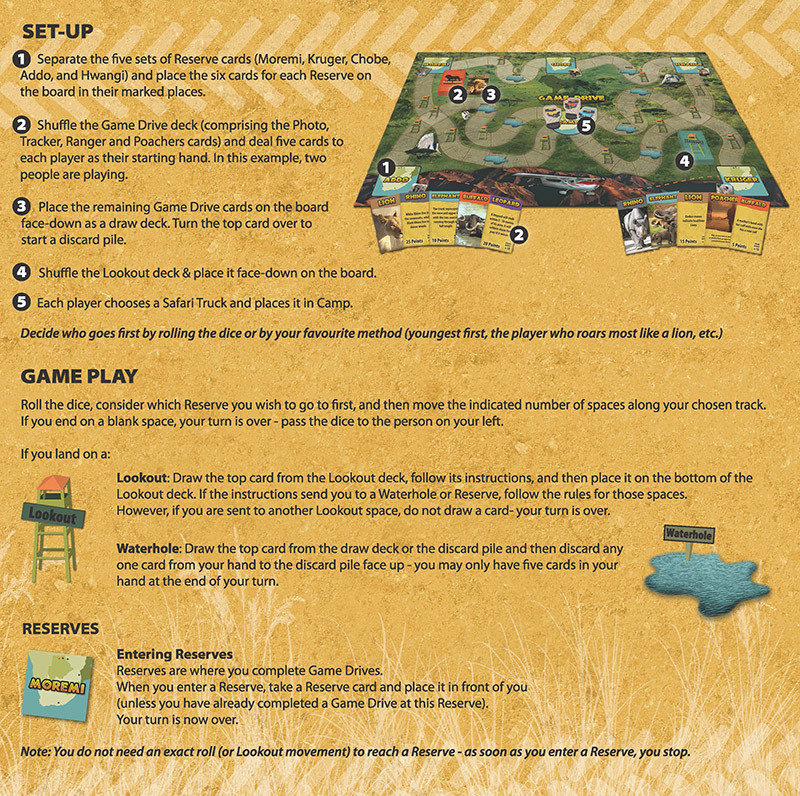 The biggest item was the gameboard- it’s a tricky thing to blend photographic and illustrative elements into a board, while also making sure that the paths are clear and there’s enough room for all the elements. Bek worked in Photoshop to create a savannah-like aerial view and then in Illustrator to make shapes with inks to create the paths that players would travel. Here is an early version where you can see she is trying out different styles of the paths and waterhole icons. For the box cover, Bek worked in Photoshop using different animal photographs, specialised grass brushes, a jeep photo, a ranger photo and savannah skies photographs to create the African scene on the front of the box. She created a few different options for Mark and Andrea to choose from while it was still in a rough state. Here are some of the other options! The final product really takes advantage of photographs and strong colour to give a bold, striking presence. 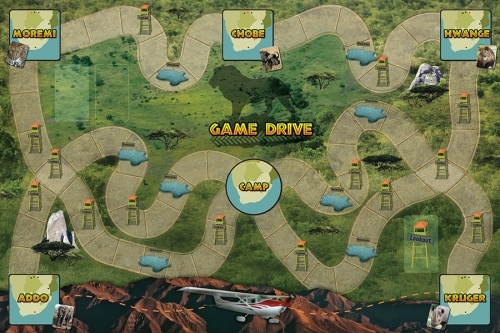 You can buy Game Drive right here!